Hong Kong, a special administrative region of China following its handover by Britain in 1997, has traditionally enjoyed freedom of the press and of publication. It is governed under a separate, mini constitution called the Basic Law which guarantees to its residents democratic rights and freedom not available to citizens on the mainland for 50 years. These rights have seen steady encroachments by the Chinese government in recent years, leading to large scale protests. 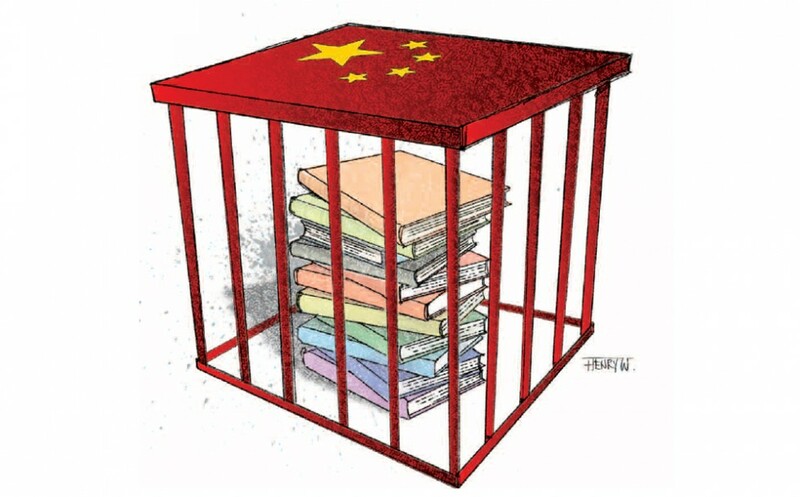 In the leaked action plan the ruling Chinese Communist Party is said to explicitly target “forbidden books” – which includes pornographic material and “illegal” books – from Hong Kong. The disappearance since Oct 2015 of five people from a publishing and retailing firm in Hong Kong specializing in books on subjects that are politically sensitive in mainland China are seen as a result of actions taken under the plan. Causeway Bay Books store manager Lee Bo, 65, was last seen at work on Dec 30, while four of his associates, publisher Gui Minhai, general manager Lui Bo, and colleagues Cheung Jiping and Lam Wing-kei have also gone missing. Lee Bo, a British citizen, is believed to have been spirited across the internal immigration border by Chinese police, while Gui, a Swedish passport holder, was apparently taken away while on vacation in Thailand. Lee has said he is in China, “assisting in an investigation” as a witness, while Gui was paraded on state-run CCTV earlier in the month, “confessing” to having killed a woman in a hit-and-run car accident in China some years ago. Chinese officials have declined to comment when asked by Hong Kong media how Lee Bo could have got to mainland China on his own as he had left his entry permit at home. Nothing has appeared in reports so far about the remaining three.